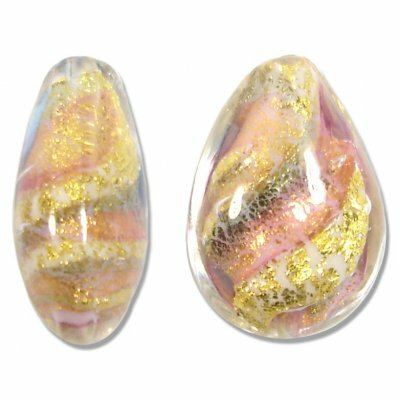 1 Murano 24kt Gold Foil Ruby Periwinkle Blue Drop Bead – hole runs top to bottom through the bead. Small Pear Drop. Measures approx 20x14x8mm. Great for earrings.